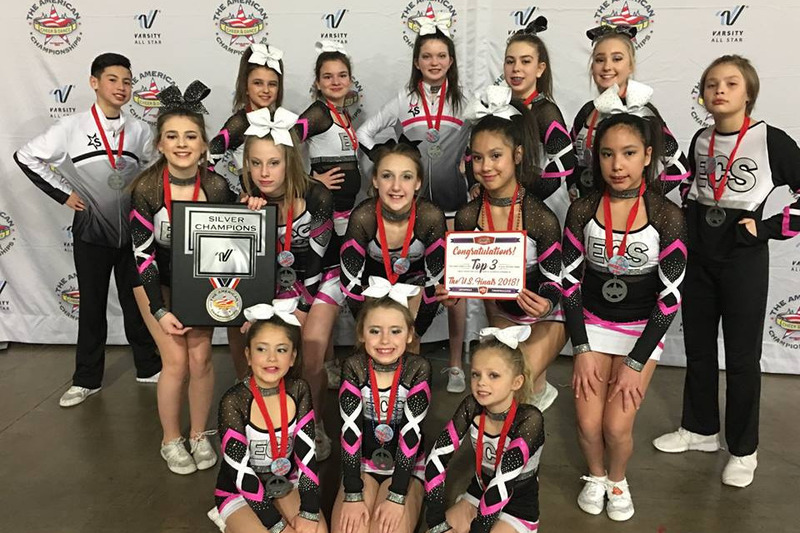 Our Junior Level 2 team recently competed in Salt Lake City on March 23rd and 24th and were awarded a bid to the U.S. Finals in Las Vegas May 12th and 13th. Our gym, Extreme Cheer Sensation is currently in its 7th year and was the first All Star Cheerleading Club in Lethbridge, Alberta. This is the very first time that a Lethbridge team has been awarded a bid of any kind and we are very proud and excited! Cheerleading is growing in popularity quickly in Canada and Alberta, however the levels of competitions are not even close to the size and quality as in the United States. There are currently no finals or championships available for us to attend in Canada. This means, if we want our athletes to have the opportunity to make it to these prestigious competitions, we have significant travel expenses before we even win. This makes the sport extremely expensive for our athletes and parents. Our athletes would love to attend the U.S. Finals and represent Lethbridge, Alberta, however we need to raise funds for flights and hotels. Any support that you could offer would be very much appreciated.